I'm still here, but sadly there has been no progress on the renovation. In order to get a Building Application (approved plans), you are required to submit a signed building contract. But here's the catch - we don't have finance approved yet, because the bank wants a copy of the approved plans. So we needed to either a) extend the cooling-off period on the builder's contract to allow time for finance approval or, b) include a finance clause into the contract. We were supposed to sign the builder's contract last week, but unfortunately Harry became ill with asthma and he ended up in hospital for a few days. I'm happy to say he is much better now so the meeting has been rescheduled for Tuesday this week. Fingers crossed there are no more hiccups - I am getting desperate to get this project off the ground. I really do love the one on the right (Carrara) but I think it might be too elegant, particularly in the boys' bathroom. 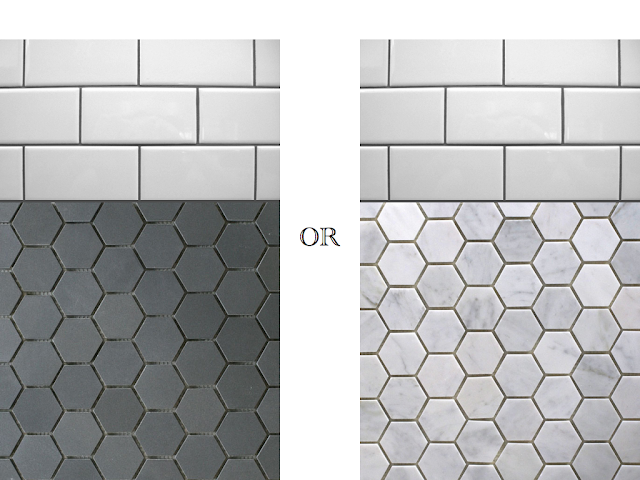 The darker tile (Grigio) just seems more practical for the floors as it won't show up muddy little footprints, etc. 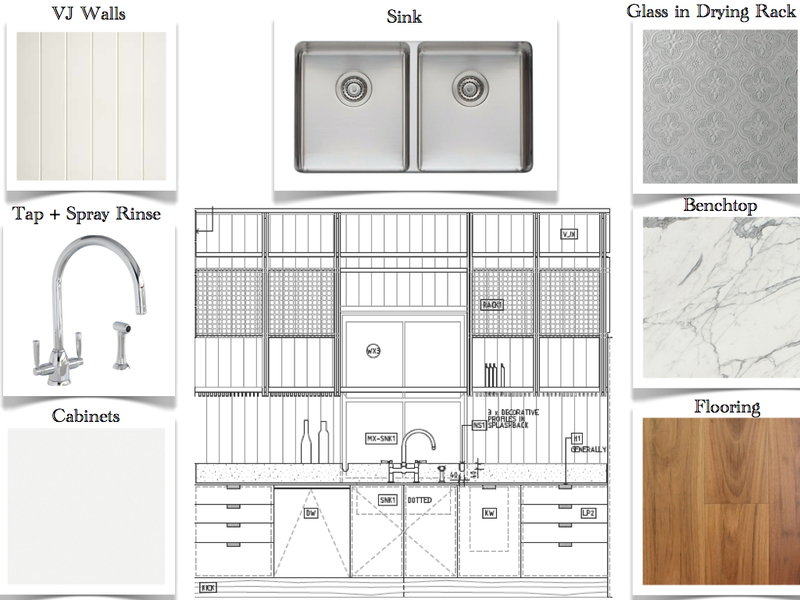 I've decided to go with an Oliveri Sonetto double undermount sink in the kitchen. I was originally going to put a small prep sink into the Scullery, but instead I've opted for a larger single bowl which can be used for washing up big oven trays, platters, etc which enables all the stuff that can't fit into the dishwasher to be taken out the back away from view. The scullery sits into the new section of the house. Two large high-level windows will provide loads of natural light in this space while ensuring privacy from the adjacent house. 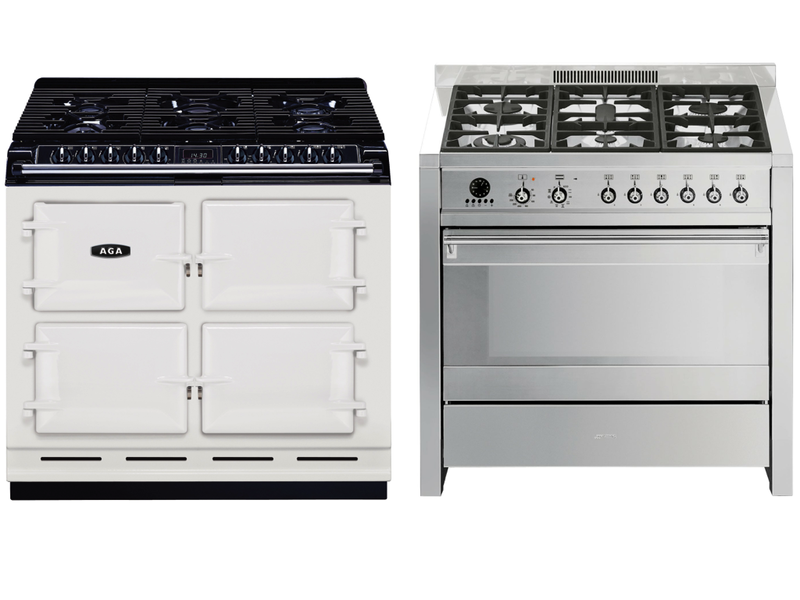 The AGA's good-looks are winning me over, but I'm not sure whether the solid doors would bug me. I'm forever peering through the glass doors when something is cooking in the oven. Do you do the same? Like the dark grey tiles, a great colour. I like where the knobs are on the AGA, so you don't have to stand back or stoop to turn them on. Are the doors wide enough for big trays ie if you were to cook a Turkey? 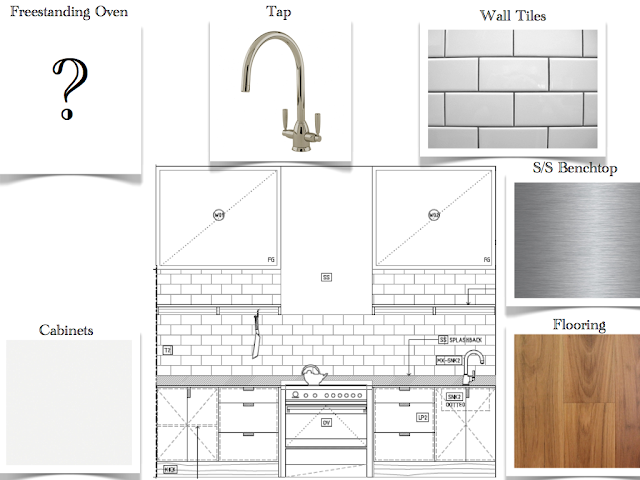 I like the dark grey tiles and the AGA. My ancient oven has solid doors and it doesn't bother me...in fact until you mentioned it I never even thought about it! I guess you just get used to the way the oven cooks? I must have opened the door when we first moved in but now I just know when things will be done. Oh and PS, good luck with getting all the approvals sorted! Who makes the grigio tiles? I have been looking for this shade. Find House Painters in Brisbane, Gold Coast. Shine Painting offers Interior Exterior Painting.